The Cleveland Browns didn't make the sexiest pick with the 19th pick in round one,which they obtained from the Buffalo Bills last season in the Sammy Watkins trade,but they might have made a solid one with the selection of Florida State's Cameron Erving. The 6'6 313 pounder can play all three spots on the line and even though I think he is most likely to play right guard next season,the value of Erving comes into play with the ability to play center. That would allow the Browns to not allow Alex Mack to to kill them in negotiations when he re-enters free agency. Erving is built more like a lanky finesse lineman than a squat run blocker,so that has to help in his versatility along the line. Erving's best position might be center,so even if he never plays there,his presence might help the Browns sign Alex Mack at a buyers market and if Mack really does want to leave Cleveland,Erving can slot right into his spot and do so without the rookie learning curve. 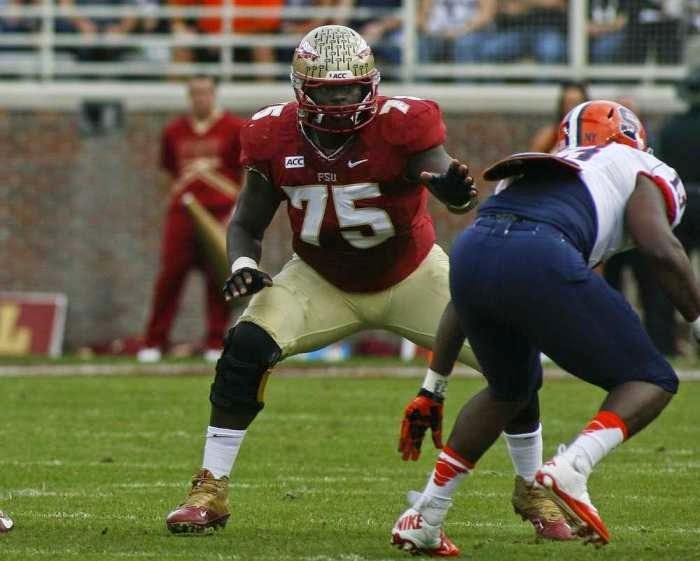 Say what you will,but Cameron Erving was the only lineman that I would have been fine with the Browns taking in round one and they grabbed him. Considering that I didn't have first round grades on the remaining wide receivers on the board at 19,I like the pick a lot. The Cleveland Browns had two players on the board when the 12th pick arrived in the first round that I liked a lot. I told the lovely Cherie that I would be very happy with either Louisville wide receiver DeVante Parker or Washington defensive tackle Danny Shelton. That meant,of course,that the Browns would do what they normally do and take someone else. This time,they didn't as the Browns selected Danny Shelton to address a run defense that desperately needed someone up the middle to stuff the run. 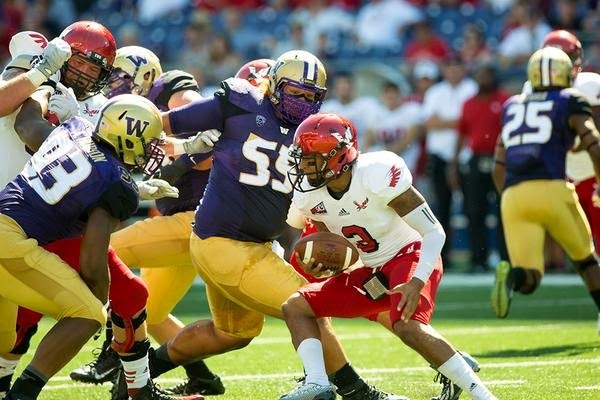 The Washington Huskie product brings a big body (339 pounds) and should immediately help a Browns defensive weakness. Shelton is more of a run stopper than a pass rusher,but I watched a decent amount of Washington games last season and his pass rush from the defensive tackle position is a bit underrated,so with some work,Shelton does have the potential to be a three down player,which some scouts doubt. A bit of housecleaning first before I finish our Browns draft series. Thanks for the notes on this morning's post. Most of you agreed with my take,but some didn't and that's fine. I just hope I made you think a bit and maybe look closer at things. I will not identify the Suns employee because my intent was not to call anyone out-I just wanted to show how some people behave. Also,for those that wondered about Blair Jewell and how I know her-the answer is that I don't. I was just sitting nearby when the person walked up to her. Now we move on to a few players that I like in the draft,but might not be names that you hear tonight. I'll start at wide receiver with a player that if the Browns took at either 19 or lower in a tradedown scenario that I would love to see is Ohio State's Devin Smith. With Smith's deep speed (maybe best in the draft) he could open up a lot of lanes for the Browns possession types. If we are looking at real sleepers at WR for day three,look at Chris Conley of Georgia or the talented Stefon Diggs of Maryland,who could also help in the return game. I like UCLA's Brett Hundley at quarterback on day two. Hundley's skills will need a lot of refinement,but I'd take the risk as I like his background and I think with some patience (the Browns may not have that luxury),Hundley has a chance to be a solid NFL passer. Many are talking runner in round one and I noted earlier about how much I like Todd Gurley and Melvin Gordon,but I also like Indiana's Tevin Coleman and Boise State's Jay Ajayi later on day two. Want a day three flier? I was always impressed by the toughness of Michigan State's Jeremy Langford against Ohio State and I think he could be a productive part of a back rotation. A day three tight end I like is Nick O'Leary of Florida State. O'Leary is all about production and watching his intense nature makes me think of the Giants Mark Bavaro and that was a very dependable and tough tight end. I'll add two day three types for the offensive line. Tackle? All in on the huge (6'7 321) Rob Haverstein of Wisconsin. Haverstein is the type of tackle that improves the running game as a road paver. He might not be a elite talent,but he reminds of a guy that starts for a while and is very dependable. Guard? The Browns could do worse than Texas A&M's Jarvis Harrison,who struggled after a shoulder injury. On the defense,two sleepers for the line. I love Clemson's Grady Jarrett on the inside. I'm a big fan of high energy players and that is Jarrett. It may take a day two pick to land Jarrett however. A knee problem dropped Texas end Cedric Reed's play after a great 2013 season,but I'd love a chance on him on day three. A healthy Reed could be a force at a bargain price.. The linebackers will see an outside and a inside backer. Hager is the son of former Eagle Britt Hager and at worst,will be a special team impact player. Outside features a player that I've seen a lot in Washington's Shaq Thompson. The athletic Thompson sometimes has been seen in round one in some mock drafts,but I think he is a better day two fit. Utah's Eric Rowe has nice ball skills and could play the corner or safety,while Ole Miss's Cody Prewitt is a hitter that could be a huge help on special teams. I also would consider Tennessee corner Justin Coleman as a player with loads of talent that could flourish with the right team. Keep an eye of some of those names and see what you think for the Browns or your team over the next few days! I had planned a post on some sleepers for the Browns and maybe a post on a good day that I had in Harrisburg. Instead I came home to news that there was another possible move for the Hagerstown Suns-this time to a county in Virginia outside of Fredericksburg. Bruce Quinn claims to put 18 million dollars in the pot for such a field,David Gysberts couldn't be reached for comment (although he made sure to be seen at the opener and commented later) and Kristin Aleshire made sure to toss his opinion in,so a lot of the same old stuff,but this time,something unusual happened. Oh,I want to see the team stay,but dealing with the day to day grind has just worn me down. It gets old watching employees harass the fans that do come and strut around with their head in the air. Ridiculous behavior that you rarely see at other ballparks-ballparks that offer a superior experience both in facility and baseball. Please allow me to offer you a contrast between Hagerstown on Tuesday and Harrisburg on Wednesday. I was not a participant in either of these events,just an interested observer from afar and I didn't speak to either employee involved,but I watched with some interest. In Hagerstown on Tuesday,two elderly gentlemen sat as a Suns employee walked around with a bag to gather recyclables and one of these gentlemen offered to recycle a can of A&W Root Beer. I watched and knew this would be trouble because I had seen this employee (I'm not naming them) berate friends of mine on two different occasions and turned to Cherie and said "They aren't going to take his can because they didn't sell it here". Sure enough,she didn't and I went down and asked this man if indeed that was how it went. His reply was "yes,she told me she wasn't taking it,take it home and recycle it myself and never to bring things into the stadium again"
These two fellows then asked me about what a game in Frederick was like as they weren't likely to return to the Muni. Now,this person did violate a rule,but recycling is recycling and I might have said how she spoke was just opinion since I didn't hear it personally,until I returned to my seat and passed a young couple with two small children and the lady said to me "I just apologized to the gentleman FOR her for her rudeness and the way she talked to him". I didn't know these people,but in one swoop,the Suns might have lost six customers that aren't likely to return-all due to one employee with an inflated opinion of their position and not the customers. They could have simply said "Oh,I didn't know we sold those here" and it would have gotten the same point across,especially if done with a smile instead of a sneer. Now compare that to this today-an elderly gentleman had a question and a need (I didn't quite hear the need) in the last inning of the game. Derreck had went to wait for post-game graphing,but I was keeping the book and needed to finish watching the game. The employee (I looked at her badge to get the name) was Blair Jewell and I watched her stop what she was preparing for at the games conclusion in order to address this gentleman,help him get the information they wanted,and say if they needed further help,they would be right here to do what she could or she'd find someone that could. There is your difference between valuing your customer and showing contempt to them. One team wants people to return,the other could care less. One is about the customer,the other is about their own ego. To be fair,I am not saying this is a universal style with every staff member in either organization,but it's about the customer in any business. It is why my hometown team is the least enjoyable team/stadium that I go to and still I always try to hope things work out. Now,I'm getting worn down and the worst thing that you can have is setting in-Apathy. R.L.Malpica scored six points to my five last weekend and took a 43-42 lead in the boxing challenge. 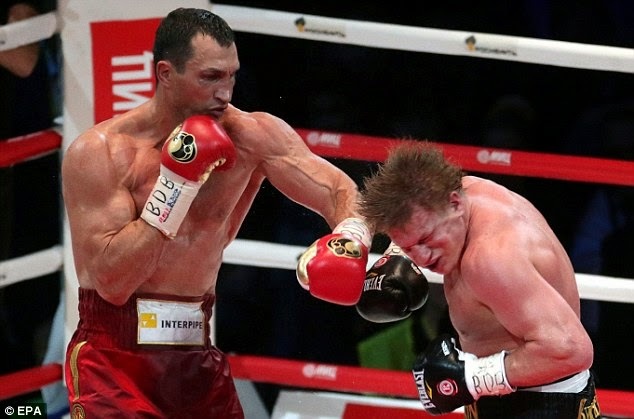 The difference was Wladimir Klitschko's decision win over Bryant Jennings to retain his WBA and IBF Heavyweight titles. R,L's prediction of a decision gave him the extra point as I predicted Klitschko by knockout. I missed this fight as well as Sadam Ali's unanimous decision over Francisco Santana as it was HBO that televised it and with my injury,I couldn't watch it at work. I did see the PBC on Spike card and saw Badou Jack upset Anthony Dirrell via a close unanimous decision to win Dirrell's WBC Super Middleweight title. Each of us predicted Dirrell to win,but my scorecard saw Jack a 115-113 victor. 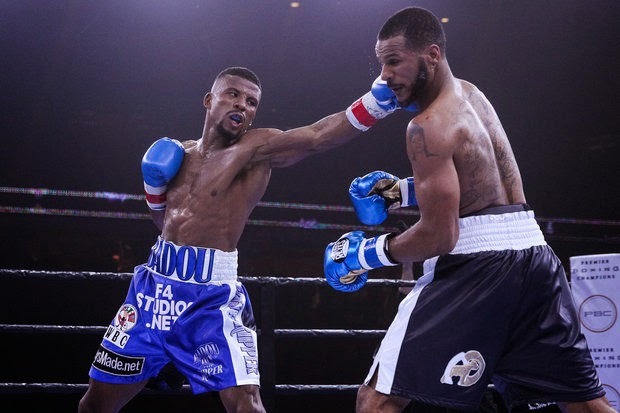 The other bout saw us each earn two points for Daniel Jacobs and his 12th round stoppage of overmatched Caleb Truax for a minor middleweight title. The bout was the latest of mismatches involving Jacobs since his return from cancer. It's a nice story,but Jacobs needs to fight some decent competition in the future,if he is to be taken seriously in the 160 pound division. Feeling a bit better so going to try to get through our Browns persons of interest. Please be sure to check out our podcast with Jeff Obert-Thorn on the draft. I apologize for the sound quality not being up to usual standards,but it was hard enough for me to do the show and there were some things that I just missed that day.I apologize for that. The Cleveland Browns are in a difficult position of picking 12th in a draft that may not be able to hit their top needs. In our mock draft (available on the podcast),none of the three elite wide receivers and the top defensive tackles were off the board and that could lead the Browns to want to trade down,if someone is interested. I really like the top three wide receivers in Alabama's Amari Cooper,West Virginia's Kevin White and Louisville's DeVante Parker,but all three could be gone by the Browns selection. If one of the three is available,it would likely be Parker and I'd be fine with the Louisville route runner. If all three were available,I like Cooper the best of the three,despite not having the physical assets of White. I would love to see the Browns have Ohio State's Devin Smith as a possibility in round two or even 19 if the board fell right. Smith would provide the deep speed that none of the Browns current receivers possess. 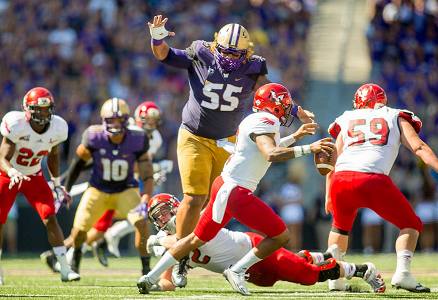 I really like Washington's run stuffing defensive tackle Danny Shelton (pictured above) and think he would be an ideal fit for the Browns and the AFC North,but he may not fall to Cleveland. I prefer Shelton,but Texas defensive tackle Malcolm Brown would a nice consolation prize. Brown isn't quite as strong against the run as Shelton,but might be a better pass rusher. If the Browns like Brown,I would hope to see a move down and maybe add a pick or two,but he should be productive. On the outside,Kentucky's Bud Dupree might be a possibility in an attempt to provide the pass rush from the side opposite Paul Kruger as an end/linebacker. I know that many observers think the Browns are loaded at running back with Terrence West and Isaiah Crowell,but I'm not convinced,especially if the intent is to run the football even more often than last season. I'm bigger on Crowell than West,but I love Todd Gurley,the running back from Georgia to be the type of three down back that neither of the current pair can be. 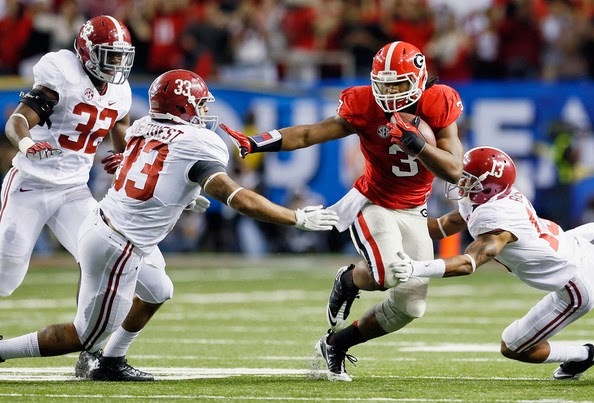 Gurley can put his shoulder down to run over defenders and has breakaway speed with pass catching ability as well. The only question is a knee injury,but I think that if someone takes it slow in the summer with Gurley,they will be rewarded with an elite NFL back. Some prefer Wisconsin's Melvin Gordon over Gurley,I don't,but I like Gordon a lot as being the exception to the rule on Badger backs. I don't think the Browns have the need on the O-line that many do,but I wouldn't be against a versatile lineman early like Florida State's Cameron Irving that could play all three positions on the line. Center would be a wedge against the possible loss of Alex Mack following 2015.so Irving would make sense,especially at 19. If the Browns would consider current starting guard John Greco as a Mack replacement,Brandon Scherff of Iowa or La'el Collins of LSU would each be excellent additions. If the Browns like Schreff,they may have to take him at 12. At quarterback-I like Marcus Mariota of Oregon,but not enough to overpay for,I like UCLA's Brett Hundley almost as much and especially in round 2 or 3,I'd be more willing to select Hundley. Hundley is loaded with physical skills,but will need some developmental time,so he is not a plug and play guy. I doubt the Browns take another corner early in the draft,but using best player on the board-I really like three corners with Trae Waynes of Michigan State most of all,but Washington's Marcus Peters and LSU's Jalen Collins have appeal as well. I think the Browns could consider the best safety on the board at 19 in Alabama's Landon Collins. These are a few of the names for the Browns on day one,if I have time,I might try to add a post that looks at some players I like for the remainder of the draft..
Podcast! NFL Draft Show with Guest Jeff Obert-Thorn! It's our NFL Draft Show with special guest Jeff Obert-Thorn! I really wanted to work on the Browns draft series,but after suffering a concussion on Wednesday,I am having issues focusing and this is hard enough to get finished. I am following doctors orders and trying to get medically cleared for normal activities by Tuesday. Until then here are this weekends Boxing Challenge picks. The defensive line needs a major addition in the worst way. The ends are good enough as part of a rotation,but not good enough to put a serious hurting on the passer. Billy Winn,John Hughes and Desmond Bryant are OK,but I'm looking for more than OK.
Phil Taylor missed time last season,is a free agent at the end of this season and Randy Starks provides pass rushing after being signed from Miami,but lacks the run stuffing ability that one likes to see on the nose. The Browns will likely address the nose tackle and could add an end as well.. The Browns could use some help at linebacker as well. Paul Kruger increased his production at one outside spot with an excellent 2014 and the inside player were strong with veteran Karlos Dansby performing well and Craig Robertson surprising me with a breakout season with Christian Kirksey showing promise off his rookie year. Former first rounder Barkevious Mingo played all last season with bicep problems,but has not delivered the pass rush expected. Armonty Bryant is being moved from defensive end to attempt the move that Jabaal Sheard failed to make and I wonder if this will be any more successful. The Browns seem safe at corner with Joe Haden and the latest signing of Tramon Williams. Pierre Desir showed some ability in his late season games and K'Waun Williams was a find as an undrafted free agent. If the Browns can get anything out of Justin Gilbert,this could be a strength of the team. Cleveland could use a safety to build up depth behind Donte Whitner and Tashaun Gipson as the Browns really don't have anyone of note beyond special team types in case of injury. Spencer Lanning is likely to return as punter and although I'm not against challengers,I wouldn't favor a draft pick on one..
Our annual prep for the Browns draft begins today with the offensive needs of the team. I'll also be doing a defensive needs post with a look at my persons (people?) of interest and with time,I'll try a look at some sleepers at each position as well..
Can you make an argument for yet another early round pick at the quarterback position? With the questions surrounding Johnny Manziel on and off the field along with the thinking that the team can get by with Josh McCown,yes you could make that argument. 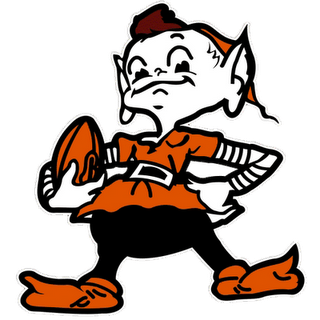 Would I be thrilled if the Browns tried again? Depends. But I cannot argue the doubts at the position and for all the draftees since the 1999 return,all except Tim Couch have been guys drafted in the late first round. I'm not advocating a tradeup for Marcus Mariota or Jameis Winston,but I'd rather see that than another late first rounder. I have a player that I'd like in day two in mind,but you'll have to wait until the persons of interest post to get a name. The Browns have two nice second year backs,but neither strike me as true number one backs. I think Isaiah Crowell could develop into that role and Terrence West is solid,when he feels like playing.Glenn Winston is raved about by the coaches,but rarely sees the field and Shaun Draughn is a veteran that is mainly a backup at this stage. The position looks strong,but I wouldn't be against a back being taken and even early if the back was the right one. Mike Pettine is building a team based around the run game and when you look at it as such,two backs aren't enough,especially with the issues surrounding West and his occasional effort issues.. The Browns need a number one wide receiver and no,Ray Farmer-I don't believe Dwayne Bowe is a number one receiver and if the Browns think he is,then there is an issue in itself. Bowe can be very helpful,but he isn't a number one right now. Brian Hartline is a nice addition from the Dolphins and Andrew Hawkins should be very strong in the slot. Taylor Gabriel and Travis Benjamin can contribute,if spotted properly in the right role,but neither are starting material. The Browns need a number one receiver. Draft one and this bunch doesn't look so bad. The Browns looked weak at tight end ,but I liked the addition of Rob Housler of the Cardinals. Before that,I was hoping that they might look at Maxx Williams of Minnesota with the second of their two first rounders,but now I'm ok with a later round project type. Housler will surprise some people catching the ball and I'm fine with Jim Dray and Gary Barnidge as the blockers. I would like to see an athletic pass catcher sometime in this draft in case Housler doesn't work out,but it doesn't have to be an early selection. I've been surprised with the amount of draftniks that seem to believe the Browns need offensive line help. They could use offensive line depth as shown after the Alex Mack injury,but with a healthy Mack,the Browns are solid almost line wide. Joe Thomas is a perennial All-Pro,Joel Bitonio should have been a contender for offensive rookie of the year,Alex Mack is of pro bowl talent and John Greco is solid at the right guard spot. Mitchell Schwartz improved last season,although he is still the weak link of the bunch,but still I'd rather see him pushed by Michael Bowie,who started for the Seahawks before a pre-season injury saw Seattle attempt to slide him through waivers since he was out of action for the season. The Browns claimed Bowie and I think they might be better suited to see what Bowie has to offer rather than use a high pick for a right tackle. I would like to see the Browns take an interior lineman in case Alex Mack leaves via free agency after 2015 to protect against a similar mess as happened last season. It can be a pure center or a guard,in which case,John Greco could move over to the center as he holds experience there in the past. And yes,I do have a particular player in mind. The Boxing Challenge continued with four bouts and it ended as it began with R.L.Malpica and I tied-this time at 37 with each of adding three points on the evening. 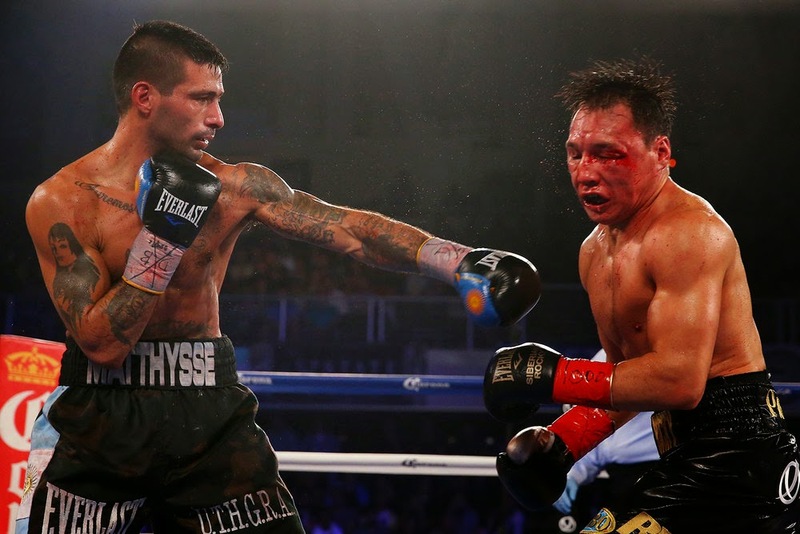 The best fight was the war on HBO between Junior Welterweights Lucas Matthysse and Ruslan Provodnikov,which went back and forth with Matthysee winning a hairline majority decision. I scored the fight 114-114,but wouldn't quibble with the two judges scoring the bout 115-113 for Matthysse. Anytime that you score the bout a draw and someone else scored 7-5 in rounds for one fighter,you cannot complain. When I get mad at decisions is when someone gets a 10-2 round edge in a tight fight. That is how you get the negative connotations that follow the sport around. 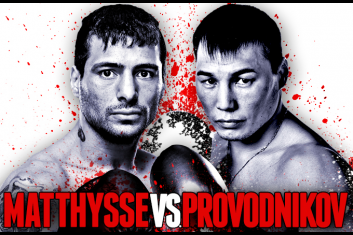 Matthysse might have won the fight,but you cannot watch the fight and not give Provodnikov the night. I'm a huge fan of both of these guys and they gave us a great battle. Check the podcast out for more of my thoughts on this fight! Terrence Crawford stopped Thomas Dulorme in the sixth round and gave R.L. and I each two points. I thought Dulorme was a bit overrated coming into the bout and after the third round,Crawford swung the bout his way. Crawford vs Matthysse would be an interesting bout in that division. The myth of Julio Cesar Chavez Jr was finished for good as he was bullied around by Andrezji Fonfara,dropped in round nine and then quit in his corner. Chavez Jr was way behind on my card,although I didn't see him beaten as badly as most. In any event,he came in unprepared,listless and then quit. New Podcast with some thoughts on boxing's warrior and quitter,venting about the Hagerstown Suns experience and Bill James and his game score. 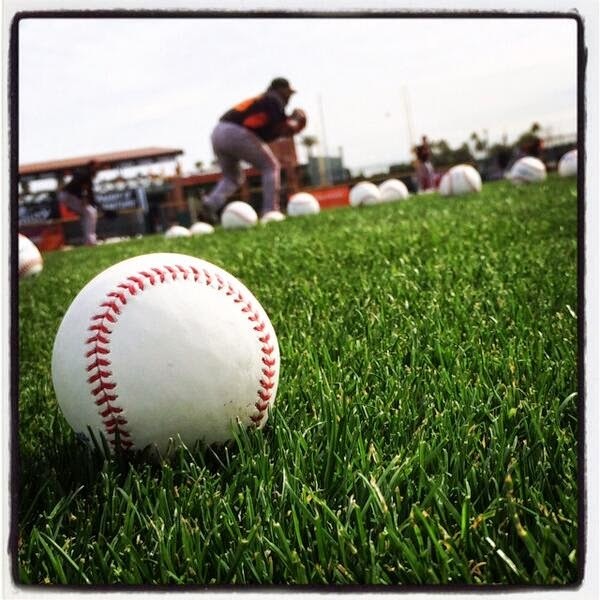 We have more from Craig Lindgren as Craig writes about his spring training in Arizona! and I caught three games, Mariners/White Sox, Cubs/Dodgers and Angels/Dodgers. impressive seeing those guys up close and hearing the pop off their bats. No autographs on day 1 of practice as I was walking around in awe all morning. I made my way over to the stadium after practice to get a good spot on the third baseline in hopes of getting a few Seattle Mariners autographs prior to the Mariners/White Sox . 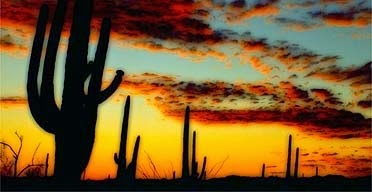 We start with a trip to the Cancun Cantina and the meet the Suns evening. While I am a fan of meet the team nights,I'm not a fan of the venue that has hosted this for the last few years. I realize that they are a sponsor,but it is far from children suitable as the list of requirement for entry should tell you as you enter. The players were nice and everyone signed what cards I needed (Auburn team set cards except Drew Van Orden on an Elite and Raudy Read on a NY/Penn Prospects card).,but there was a lowlight as a Suns employee was less than nice (actually downright snappish) to Mike Oravec as he simply asked a question about the signing session,only to have his head bit off about tickets for the season. I'm not going to name the employee,but it does get a little old to see this type of stuff happen all the time with the newer employees with the franchise. It's like they have a chip on their shoulder having to deal with the actual fans of the team. However,I was in my early 20's once too and I thought I knew everything about everything,so consider that as well. My first game was in Frederick for the Keys and the Winston-Salem Dash. The Dash was an underwhelming prospect team and I didn't have a ton for them. Actually,had this not been "Hockey Day",I might have even skipped the Dash this stop.I did get some interesting cards though. Cleluis Rondon on his SAL Prospect,Keewyn Walker on a Heritage ,third rounder Jace Fry on his Elite,Great Falls and Bowman and former Cuban defector Mychael Ynoa on a Midwest League Prospect and an old Tri-Star led the Dash haul. The main reason for the visit was for Dennis Maruk,who scored 60 goals for the Washington Capitals,but was important to me for his time as a Cleveland Baron that entered him in our Forgotten Superstars universe. Getting to meet Dennis was a big deal for me and he was very gracious as he knocked out everything that I had. Dennis talked a little about the Richfield Coliseum as he signed four Barons cards,a Barons puck,a 8 x 10 and signed my book about Cleveland hockey. I had to pick the lovely Cherie up from work,so I didn't see much of the game,but enjoyed my time there in Frederick as I usually do with the Keys. The next day,the lovely Cherie went with me for the Altoona Curve in Harrisburg against the Senators. Cherie had never been to Harrisburg and I love spending time with her,so it made sense to give it a try. Cherie said she really liked Harrisburg and even helped me a bit with Josh Bell,who signed for everyone and Tyler Glasnow,who she and I each got twice for a card at a time. Glasnow signed his top 100 for my set ,so just signing that made it a great day,but he also signed his Florida State Prospect,Bradenton and a Heritage insert card that I got in the only pack of Minor Heritage I bought. Not a lot else from the Curve,mainly former Buckeye John Kuchno,who added Go Bucks! on his Bradenton and Willy Garcia on a Bowman Chrome. It was back to Frederick the following day for the Lynchburg Hillcats,who moved to the Cleveland Indians from the Atlanta Braves over the winter,so they were a big deal to me anyway,but even more so as it seems as the Hillcats are the team most loaded with prospects for 2015. The three biggest prospects were first rounders from 2013 and 2014 along with a "sandwich" pick between the 2014 1st and 2nd rounds in Clint Frazier,Bradley Zimmer and Mike Papi. Frazier was terrific as he signed four cards and talked a bit about Austin Meadows as he finished a Bowman insert card that Austin had signed last season at the Muni. Frazier also signed a Midwest League Prospect,a Prizm Red (limited to 100) and a Heritage. Bradley Zimmer was a player that I had high hopes for as his brother Kyle was a great signer a few years back,but Zimmer quickly signed a Bowman Chrome before moving on. Zimmer was reported as usually a one per,occasionally a two,but Derreck said he said no to any during the Wednesday morning game that I stayed home during. As for Mike Papi,who signed a Bowman Chrome before practically throwing it back at me,the less said the better as surly might be a kind word to describe him. It could be just be a slow start with the wood for Papi.,so maybe he'll be better next visit in,but from everyone that I spoke to that did Lynchburg in the other games of the series,Papi's behavior was the talk of the circuit. The other highlight of this game was yet another battle of graphing wars between my good friend Brad Adams and his constant nemesis Marc Austin. Dylan Baker is a pitcher that has just one mainstream card (shown) and readers may remember his six perfect innings last year in his season debut vs Frederick and then ending his season with an ankle injury in his next start. Marc and his seven versions of this card squeezed in around Brad and his one (etiquette usually is involved by asking how many do you have and letting the 1 go before the 7) and Baker started signing. Brad then began counting out the cards like a boxing referee as I heard FOUR,HEIMBERGER! As I turned around,Brad continued to count-FIVE,SIX,SEVEN! With Baker finished,Marc leaned in as Baker signed Brad's card and offered "Brad,you are a real F'ing A@@hole,you know that"!? As a befuddled Baker looked on and wondered just why he is in the middle of this and quickly got out of there.Marc challenged Brad "to step outside" and screamed a lot of different things as Brad bemusedly said that he wasn't fighting over a baseball card. The pair went back and forth for a while before things diffused. It was part funny and part sad. We wrap up with the Lakewood Blue Claws,who actually finish their series tomorrow and I have a few team set stragglers left. The Blue Claws only make this trip and one more in June,which is surprising when you consider that they usually play in Hagerstown as much as the the South Hagerstown High Rebels do,so things needed to be finished faster than usual. Interesting Blue Claws were 19 year old catcher Deivi Grullon (very impressed) on a Elite,Lakewood and Williamsport card, third round pitcher Chris Oliver,former third rounder Cord Sandberg and infielder Derek Campbell. I also was able to get Nationals outfielder Denard Span on his 2013 and 2015 Topps Heritage cards. Span is so nice and it's a pleasure to root for him. It's situations like this that is why I buy the Heritage sets to have players around on rehab assignments. And because they just look so great! That catches us up on the first two weeks of the season. I always intend to stay current on the front and it quickly spirals out of control,but once again-I am trying! I've missed baseball and despite a great day in Harrisburg with the lovely Cherie and two trips to Frederick (great stories to come for the next on the signing front),it still isn't truly baseball season until the hometown Hagerstown Suns open up the season. So since I've been at the first few games,I can discuss a few of the changes for the teams presentation,the stadium and more. Unlike some of the other sites that cover the Suns,We choose to talk honestly (on positives and negatives) with hope the writing is taken from someone that cares enough to want things corrected and not just being a crank! Ha Ha! The stadium seems to have fewer advertisements on the outfield wall,which shows the difficulty that the team will have until they make a firm commitment to the area. There is a positive to the outfield wall as the wall in right center has been removed and replaced with a chain link fence. This looks better than the previous wall,allows fans to see the visiting bullpens better,you can follow the ball better when hit to that area and could see more spectacular catches (or at least attempts anyway) by outfielders. The Suns have brought back an old promotion where a local furniture store donates a recliner or love seat for the "best seats in the house" on top of the Suns dugout. This is pretty harmless,albeit a bit cheesy looking,but when you have the sponsorship woes that the Suns have,I cannot begrudge almost anything (hang in there) that the team does to bring dollars into the fold. I wish I could say the same of the idea of the Suns hosting an in game race of various suited characters. Many teams do this with various themes,but the Suns may have taken the cake with a tasteless race sponsored by a local liquor store that features a beer bottle,wine glass (looks more like a trash can,which this thing belongs in,but..) and beer can along with a pink elephant that produced the most laughter seen at a Suns game in years at the season opener. Now,of all these various races throughout the majors and minors,I generally have the least issues with these compared to other in-game "entertainment" as they can actually be fun to watch on occasion,but this crosses the line. As a non-drinker (nothing moral,I assure you),I'm not offended by the alcoholic inspired battle,but I do have a problem in marketing this to children. The Suns have always been a team that sold alcohol as an attraction to fans (Thirsty Thursday says more than I ever could),so that part is not a new development,but making these "kid-friendly" with a elephant tossed in for kids to pay even more attention to the race to me is bad taste and questionable. 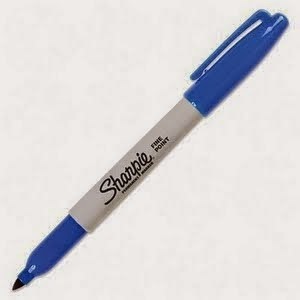 However,when you consider that someone managed to get sponsorship for this and will make money for a team drowning in red ink,I realize that this will be around for a while and even understand it. The part that made this funny on the opening night came in the first race,when the elephant literally lost its head as she (it?) fell down and sent the head spinning into the infield like a top from the old kids game Battling Tops! I haven't laughed that hard at a Suns game since Darnell Coles threw an entire bucket of baseballs on the field one night after a typically lousy SAL umpiring call! That event led to the second race that saw the elephant more concerned with holding its head on than running the race with the zany mishaps that follow. The race has the potential for yearlong unintentional comedy,but I still wish the characters were not so adult oriented. There is a new in-game host,who isn't that bad on the mic. He reminds me of Kenny Powers (minus the cursing) of Eastbound and Down fame when he was in his all white "La Flama Blanca" phase as the host wears an all white suit. The getup reminds me of a cross between the Good Humor ice cream man and the white jumpsuits seen by caddies on the pro golf tours. In any matter,he isn't overly loud on the stick to annoy those that aren't interested in the various forms of "entertainment" and certainly seems to be more comfortable than past Suns hosts that ranged from annoying to "hey,kids look at me!" to downright uneasy with the microphone in their hands. The Suns have always struggled with music,mainly because everyone's tastes are different,but apparently the newer hits feature borderline words and one discussed getting high. Now,I've written that my own questionable use of language is second on the list of things I'd change about myself,so I'm no prude as far as language goes,but I'd think twice before playing some of these songs. Nothing to get upset about,but someone else might be offended more than I. You'll never please everyone when it comes to music in public places,so the best way might be to be a little more middle of the road in their selections. I'm not a huge fan of the new "Camo" uniforms,but the less than expensive style actually works in the jerseys favor in this case as the camo blends in more than stands out. I wouldn't say I like them,but I've seen worse around the game. I'm interested to see the other uniforms that are planned for the season,including this weekend. It's nice to see some things addressed with the Hagerstown Suns and there are a few positives,so I suppose things have improved and I'll be interested in seeing just how things progress over the course of the season. If you have HBO,tune in Saturday night because the fight of the year is there from Verona NY with Lucas Matthysse vs Ruslan Provodinkov. This fight has the potential for massive violence and will likely blow away these PBC "classics" for action. I see this bout going one of two ways-Provodnivkov using his superior physical strength to wear Matthysse down or Matthysse using his underrated boxing skills just enough to gain a decision. The other HBO fight is former lightweight champion Terrence Crawford going after a vacant junior welterweight belt against Thomas Dulorme. This belt should really still be Provodnikov's to begin with after being robbed by a bad split decision against Chris Algeri and to give the winner of this bout compared to the Matthysse-Provodnikov winner is a joke. Dulorme failed in his only true test,so this could be a one sided fight..
Showtime has Julio Cesar Chavez Jr in his light heavyweight debut against Andzej Fonfara. Chavez moves up in weight and Fonfara comes off an explosive and close decision loss to Adonis Stevenson in which he dropped Stevenson. This could be an exciting bout to watch. I've been very busy over the last few days. Frederick and Harrisburg over the weekend,a home disaster on Monday and a trip on Tuesday with the lovely Cherie have kept me from updating the blog. I'll try to get some bonus posts up soon. With everything going on,the podcast missed a week,which might be good with the storage down for this month! Hope to have a new one ready Monday. The Boxing Challenge saw R.L. Malpica and I added one point to our total and maintained a tie at 34. 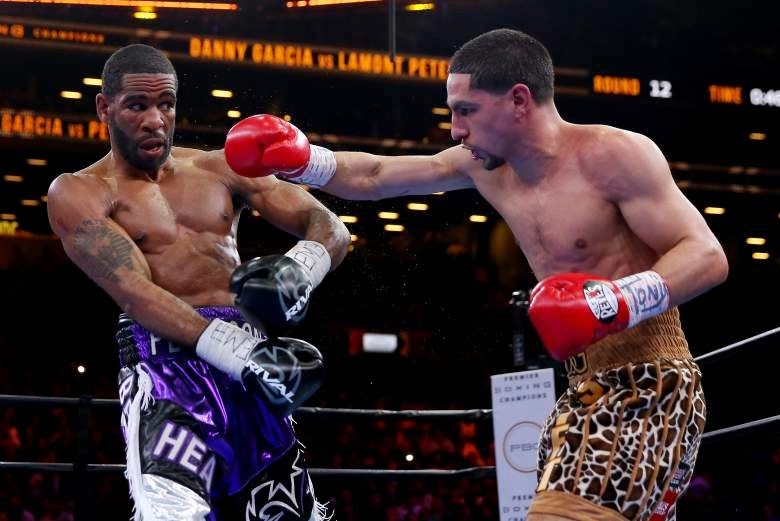 Danny Garcia earned a majority decision over Lamont Peterson,but Peterson may have won the night. Garcia's face was swollen with Peterson being unmarked,but Peterson used way too much movement in giving away early rounds. Had Peterson started earlier,this fight would have likely gone his way,but I thought the scoring was fair. I scored the bout 115-113 for Garcia. Andy Lee held off an early barrage from Peter Quillin and salvaged a draw with a knockdown of Quillin in the seventh round to offset two earlier knockdowns. Not the most thrilling bout I've ever seen and I agreed with the draw of 113-113. I think neither of these guys are a remote threat to Gennady Golovkin. I wrote that the minor PPV bout of Orlando Salido vs Rocky Martinez would be the fight of the day. 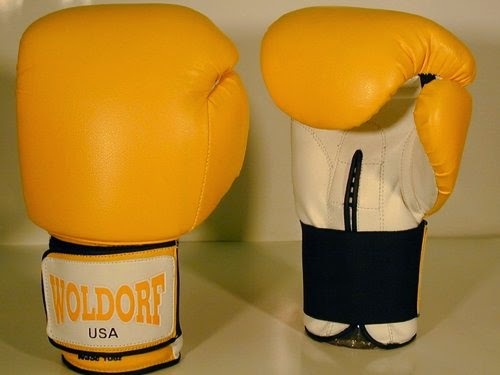 The Boxing Challenge continues with a three bout weekend,two of them being from the PBC. The three holders of the junior welterweight titles are fighting tonight in Brooklyn,but none of the three are on the line as various answers each have a sliver of truth to why none of the belts are defended as Danny Garcia battles Lamont Peterson. Garcia has not looked impressive since his upset win over Lucas Matthysse as he won a majority decision over Mauricio Herrera (that I thought he lost) and then blasted out clubfighter Rod Salka before taking eight months off. Peterson has defended his title twice after being KO'ed by Matthysse,albeit against top 15 type Dherry Jean and journeyman Edgar Santana on the card led by Garcia-Salka. Despite both men being champions and talk of this being the "bout for the fans" (Like that matters any other time),I think there is a difference in class between the two. The minor WBO middleweight belt was supposed to be the prize as Andy Lee defended against former champion Peter Quillin,who vacated this belt last year because "he wanted to concentrate on the biggest fights". In reality Quillin wanted to please Uncle Al Haymon by vacating rather than accepting the biggest purse of his career against Matt Korobov because the purse bid was won by Haymon enemy Roc Nation. Lee meanwhile jumped into the bout and won the title by knocking Korobov out after losing every round. Lee is a power puncher with the ability to knock out anyone he hits,but looked to be an underdog against Quillin or why else would the PBC bring a non-PBC fighter in to fight on their card? Well,Kid Chocolate melted down and couldn't make the weight,so Lee's title is not on the line,although the fight still is because Quillin (PBC) gave Lee some extra dollars to go ahead with the bout. It's a no lose for Lee as he keeps the title win or lose,makes more money to do it and it's a super middleweight bout either way. It could be a fun fight,but that depends on Quillin-does he come in bigger and stronger due to not making weight? Or did he really try to lose (a rarity today)and comes in weakened by the effort? If the former,Quillin is the more rounded fighter,if the latter,Lee has a real punchers chance. In Puerto Rico,we could have the fight of the night as veteran warriors Orlando Salido defends his WBO Jr.Lightweight belt against Rocky Martinez. This could be a dynamite bout that few will see because the bout is on a minor PPV against the free offerings of PBC. The Cleveland Browns attempted to fill the void left by the defection of Jordan Cameron to the Dolphins with an intriguing signing as Cleveland signed tight end Rob Housler to a one year contract. Housler may not be a household name to most fans,but his seasons in 2012 and 13 put him on the radar of fantasy owners with solid seasons as a pass catching tight end. Housler fell out of favor with the Cardinals for some reason last season and caught just nine passes,but looking at his numbers previous to that and seeing that Housler will be the main pass catcher at the position,Housler's size and hands make me think that he could (emphasis on COULD) perhaps approach the bottom end of Jordan Cameron's numbers,especially if he stays healthy. 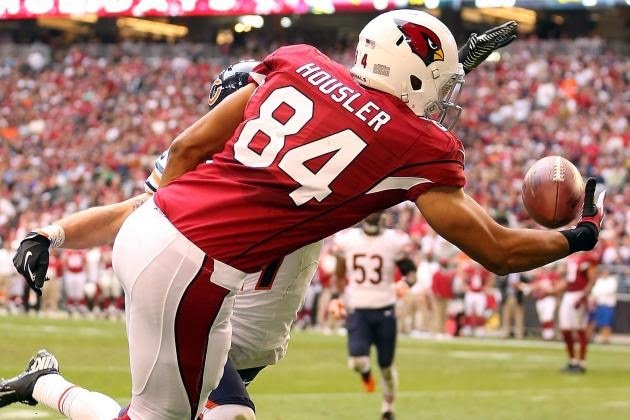 Housler has the type of size (6'5 250) to be a red zone force,but in his Cardinals tenure caught just one touchdown. That's understandable considering the Cardinal receivers on the outside,so I'll willing to accept that he just was not thrown to in the end zone. I'm not saying Rob Housler will be a pro bowl level player,but he does take tight end off the board early in my opinion and upgrades the position with a player that has the potential to open the center of the field a bit and give whoever is taking the snaps a checkdown target that could improve the yards after catch average..
Time to clean the filling inbox again and we start with a convergence of two topics that the lovely Cherie enjoys with the paintings of the late Bob Ross with Metro the painting race horse. 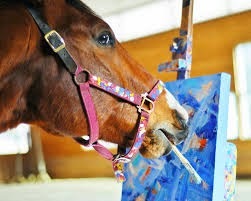 Metro,a retired race horse "paints" and I'm sure most of you know Ross the painter of generic trees on PBS. Cherie sends me two more notes,one of which is a unlikely source for this dubious author. Guideposts discusses the decision of Kim Campbell (wife of Glen) to discontinue the home care of the singer,who is suffering from Alzheimer's. My friend Joe Plum has reappeared on Facebook and posts some interesting things for the inbox that I am sure will begin to appear more and more in the inbox. Joe starts with the Burmese Python story from the New York Times of how this beast is rampaging through (and destroying) the Florida eco-system,which is a story that I'm always interested in. You wouldn't think that goldfish would be invasive,but the common little goldfish proves that any species out of its native zone has such potential with the takeover of a Colorado lake. Colorado officials estimate that a few goldfish released into this lake have mushroomed into thousands and are slowly choking off the native fish. Two passings of character actors as Geoffrey Lewis and James Best each passed away this week. Lewis,the 79 year old father of actress Juliet Lewis,appeared in many westerns,but was most noted for his friendship with Clint Eastwood and resulting supporting roles. Most notable to me was his role as "Orville" in the Every which way but loose films and as a police captain in TRS favorite Tango and Cash. Best,who passed at 88 was most noted as his role of Sheriff Rosco P.Coltrane on the Dukes of Hazzard,but was first remembered by me as "Jim Lindsay" the guitar picker that wanted to leave Mayberry on the Andy Griffith Show and also in a guest shot on Have Gun Will Travel. I saw Best in an appearance at an Altoona Curve game,where he did the entire Rosco schtick complete with a car chase around the field,dog in the car and the big bump after getting out of the vehicle. We have a guest column today from Craig Lindgren. Craig is a friend and trading partner of mine from Utah. I'll have another post from Craig soon! Hey ya’ll, my name is Craig Lindgren and I’m new to blogging about autograph hunting, but not new to blogging about sports so here we go! With the help of my new friend RS, hopefully I will be blogging on a somewhat regular basis about my autograph hunting experiences. started Joc’s LF Hecklers in 2011 when my friends and I started interacting with current Dodgers CF Joc Pederson while he was in rookie ball. We stood up above the LF wall and chatted with him about various plays and situations during the game. This is what really got me started collecting autographed baseballs and they are all game used which is awesome. Check me out on Twitter @JocsLFHecklers! all on baseballs including, Mark McGwire, Don Mattingly, Tommy Lasorda, Steve Garvey, Dale Murphy and my current favorite baseball player Joc Pederson. also try a few TTM’s, but it’s too early to tell how successful that will be. Tune in to see if the TTM’s work! Hopefully this is the first of many blogs here and I hope you all enjoyed reading my blog. Please comment and follow my future blogs. Next up is my Spring Training recap where I got 6 baseballs and 12 cards autographed. Adios for now! The winter is over and the bloom of better weather is here. Don't worry,there will be cold ballpark nights ahead,but better things will come. I've already done a preview for the Pirates and Indians on the podcast-found here and I may write about a day filled with baseball as I could watch all 3 teams as the game line up perfectly=Pirates 4ish,Indians around 7 and Giants around 10 with the Wisconsin-Duke game tossed in for good measure. For a winter hater,this is almost like the clean slate that we all love. DVD's go away in favor watching ballgames,staying inside is replaced by me going to games and trying to get a little extra exercise by walking around the ballpark. 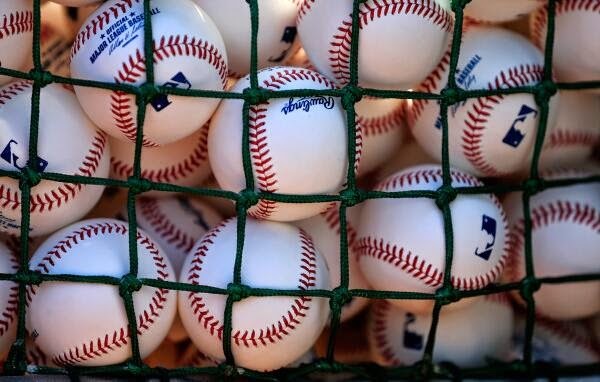 I love football,boxing,hockey and I still have my good days with basketball as the playoffs near,but baseball is the game of conversation both live and at home. I worry about baseball losing some of that in their attempt to speed the game up. Pitch clocks and batters having to keep their foot in the box are fixes that don't need to be fixed. If they really wanted to speed things up,they would address the two biggest problems-unnecessary multiple throws to first base and long interminable mound visits followed by pitching changes are the two biggest things that drag games out. 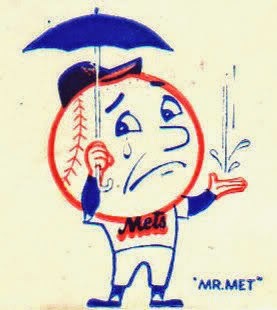 But for now,lets be positive-All three teams of mine seem to be competitive and minor league baseball has just another few days before I can waddle around the ballpark. Our latest podcast on World Class Wrestling with Tim Hose. 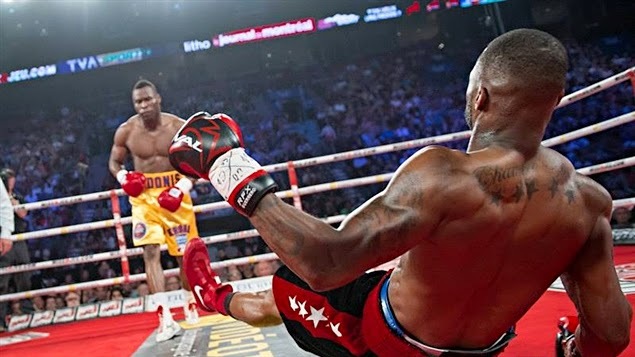 The Al Haymon led PBC tour hit Montreal for its debut on Saturday afternoon televsion on CBS and the results were predictable as Adonis Stevenson retained his WBC Light Heavyweight title via unanimous decision over Sakio Bika. Stevenson knocked Bika down twice officially and once unofficially,but I never got the feeling that Bika was ever in true danger of being stopped. Of course,the fight everyone wants in the 175 pound division is Stevenson vs WBA/IBF champion Sergey Kovalev. I'm not sure Stevenson wants that bout and he wasn't even questioned about Kovalev in a lousy post-fight interview by CBS questioner Brent Stover. I still think that despite a purse bid to force this bout that it isn't going to happen unless the PBC wins the purse bid. If anyone else wins it,I believe Stevenson will hand the title back to the WBC before he fights on another promoter/network. I believe if Al Haymon would have Peter Quillin turn down a career high purse for a fight that he'd likely win (vs Matt Korobov),you have to think that he would do the same with Stevenson for a fight that he is likely to lose. Stevenson is a strong puncher,but I believe his power is mildly overrated. Not that Stevenson doesn't hit hard,but power comes from delivery and it seems to me that Stevenson often has trouble hitting his target and as a result isn't as big of knockout guy as he could be. Power after all is the act of delivering the highest payload as quickly as possible and Stevenson misses way too much for me,although if he hits you,the potential is there to take you out. The real star on the day and the man that we think will give Sergey Kovalev a much rougher time than Stevenson continued his roll to the top as Artur Beterbiev just destroyed Gabriel Campillo in four rounds. Campillo,a former champion,had been a solid fighter and the only fighter to dispatch him was Kovalev in the fight that brought Kovalev to the boxing world's attention. Add Beterbiev to that list as he knocked Campillo to the mat with the first shot he landed in round one and showed a strong killer instinct by finishing him off in the fourth round with a shot that caught Campillo as he was falling into the ropes to finish the bout. Something tells me that we will see Beterbiev vs Stevenson before we see Kovalev vs Stevenson and with the questionable chin of Stevenson,that same something tells me we will be wishing for another bout involving Kovalev-vs Artur Beterbiev. Onto the CBS version of PBC and I was less than impressed. Kevin Harlan was awful on blow by blow reminding me of Screaming Gus Johnson's days on Showtime (That's not good) and Brent Stover's interview of Adonis Stevenson after the fight was beyond bad. Paulie Malignaggi did his usual strong work and Virgil Hunter was much better than I expected him to be as the color commentators. PBC continues to remind me of the 1980's Vince McMahon WWF takeover of the wrestling world as only Paulie Malignaggi even mentioned Sergey Kovalev,the lousy post-fight interview and the refusal again to show the WBC belt on television. I think that the CBS version of PBC is clearly the weakest of the three networks thus far. The Boxing Challenge moved into a tie at 33 as I added four points to R.L. Malpica's two on the day. The Boxing Challenge continues with the PBC making its debut on CBS with a two bout card on the light heavyweights. Lineal and WBC champion Adonis Stevenson gets his chance to stake his claim as the best in the division as he will use the free TV platform to defend his belt against former 168 pound champ Sakio Bika. Stevenson has one goal-stopping the never-before stopped Bika. I think that can happen as Bika is fighting his first fight as a light heavyweight. The opening bout see steamroller Artur Beterbiev against former WBA champ Gabriel Campillo. Campillo was the first name opponent that Sergey Kovalev faced and was crushed in three,but has been very durable in his bouts against anyone else. Our first podcast for April features guest Julie Kendall! We return to the Forgotten Superstars universe with one of my favorite cartoon characters ever-Alvin of the Chipmunks. I became an Alvin fan when I lived in Ohio being pre-school age because a local station showed the Alvin Show in syndication and back then canceled cartoons often were cut up and stuck into various shows that were shown locally. I only have vague memories of those shows other than Alvin and Dave Seville,although I seemed to remember faintly a host without specifics until I did some research for this post and came up with Captain Penny out of Cleveland. It might be a match,although I wouldn't want to stake my life on it. I was an instant Alvin fan and had a lot of the records of that era,but after that point-Alvin and the boys pretty much disappeared from the media with the exception of the Chipmunks Christmas song which always got a lot of airplay in the season. 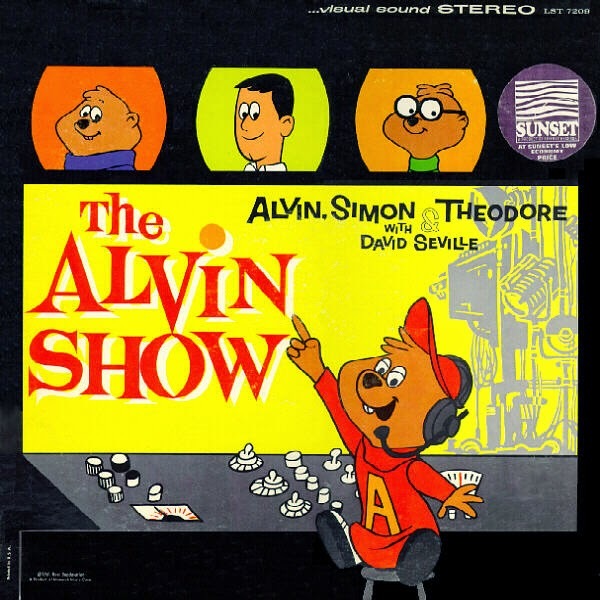 Alvin made a comeback in the late 70's with "Chipmunk Punk" which had the guys singing harder rock songs (Not really Punk) and led to other concept albums,which turned the Chipmunks hot again with a return to Saturday morning TV. First the return was re-running the Alvin Show until the new show could be finished. Besides introducing the Chipettes (which did nothing for me) and the change in animation,this version of Alvin wasn't really for me. I was still a fan of the original character and the revisions left me cold. Time went by and as more versions appeared (CGI style),I still had a small part of fandom for Alvin and his sidekicks from my pre-school days and youtube allowed me to see the Alvin Show and stuff like Witch Doctor,but one thing kept ol' Alvin around. You see,my mother has always been a craft person and through the years the things have changed,but she always was an artist of some type. So when she did crochet and got tired making a thousand afghans,she started buying pattern books to make items. When she got to me-I picked Alvin and he is here to this day. 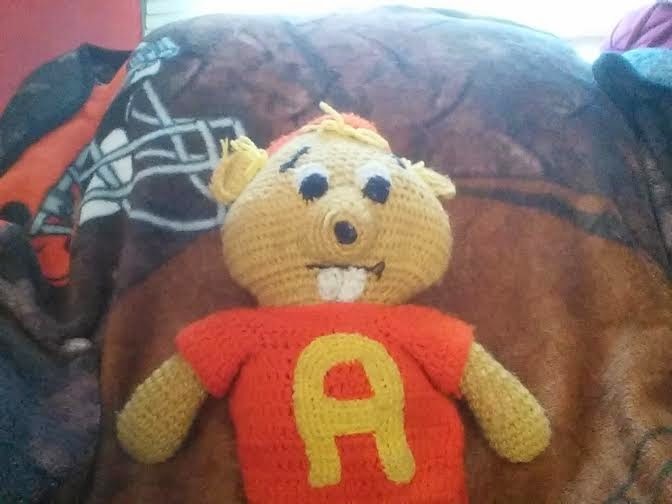 The time and love that my mom spent to create makes Alvin priceless. I'd hate to see him sent to the Goodwill or sat out with the trash. Over the last cold season,I've become friends with actress Julie Kendall. Julie's positive attitude and friendship have been a terrific part of a less than great winter. Julie will be doing the podcast soon and I have lots of questions for her about the Atlanta Film Festival,which she covered for us at TRS. Julie took a few pictures,reviewed a film for us and saw actor James Franco,which she seemed to be quite excited about. Julie has written some words for us,so they are as follows. Thanks to her for her work and look for her to appear on the podcast soon! 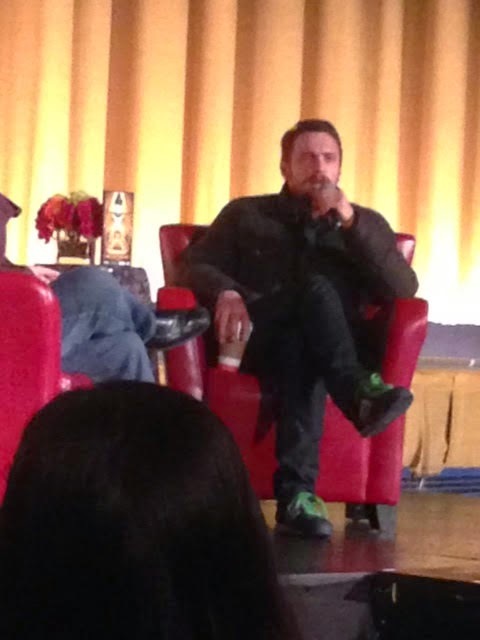 Here I am again, in front of James Franco (Picture Below)... Feeling so inspired by this man who stops at nothing to be the best he can be both personally & professionally. He is a perfect reminder that we can do anything we desire; that we have unlimited potential and possibilities; that there are no boundaries. I'm so moved by his presence, not necessarily because he's a star and a master creator of magnificent projects, ideas and teachings, but because he stimulates my desire to get out of my own way; to push myself to evolve and create the fullest life I can ever imagine. His courage, his tenacity, his passion....fuels my desire to embrace who I am and maximize my potential. I hope one day soon, I am able to pass that type of love and inspiration along as he does, to the people around me. That is my real dream and my strongest desire. But for now , I'm just counting my blessings for experiences like this one I've had, and for all of the other wonderful people i continue to connect with, on this wonderful journey I am on. 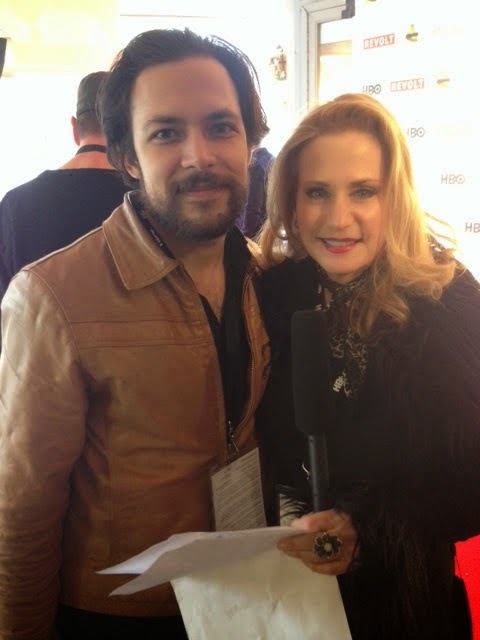 Also I saw a film last night too, which I got to do a red carpet interview on... had a few stars in it. Not only did I get to watch this really original/interesting, very well made film, I got a chance to talk to a few of the actors - Georgie Henley(Chronicles Of Narnia), Kara Hayward(Moonrise Kingdom), Willa Cuthrell(Dan in Real Life)... & the Director, Caryn Waechter, just before it premiered, on the Red Carpet. What a treat that was. Seeing the chemistry between this beautiful cast, was amazing in of itself. Everyone was so delighted & proud to be there at the premiere, and they were all beaming with a joy that I recognized so well, being an actor myself. I could feel the passion, and the excitement running through their veins, as questions were fired at them, and the row of photographers snapped pictures. I asked each of them who their biggest inspiration has been in their lives, and interestingly enough, they all said it was their Mother. That their Mother was the one that encouraged them to push themselves them most to live their dream, and to be the best they could be in life. I loved hearing that. Made me smile inside, thinking about how much my Mother believed in me more than anyone, ever had. And then onto the premiere, which was just delightful to watch. The acting was wonderful. Everyone was so real, and honest in their performances. being an actor myself, I am very critical of others work, but this group inspired me, and made me really proud, and excited to watch. I can see why the casting department selected each of them, as they fulfilled their obligation to each of the characters beautifully. Then there was the shots.... I loved the transitions, the effects, the editing... I was really impressed with the Directors work, and I hope one day I can work for Caryn, as I saw her passion and her vision very clearly. It was delivered beautifully, in my opinion. All in all, I was really satisfied when the film came to a close. I was grateful for having been there to experience such greatness, in a business that is so challenging to get the recognition we sometimes deserve. We conclude our interview with Jennifer Pagliei. TRS: Did you have any interaction with the WHAG weathercasters? If so,was that professional or tension? JP:I do not think I was here long enough to really be able to reach out. I know many people are friends with one another at HMTV6 as well as WHAG, because being in a small market, there really is no competition. Everyone here is here to learn and grow together. TRS:How do you see Herald Mail,now that you are leaving? Is it a viable growth network locally or is it intended to be a bare bones,development channel that will see the talent rotate in and out constantly? JP:Hard for me to really answer that within the small time I was there but they are a brand new station, which has only been on air for two years. Starting from scratch is hard work and dedication, which they have. It costs a lot of money up front and of course a lot of patience. I think over time they will become a greater station they are now, but starting out is always the hardest part. I wish the best of luck! TRS:I tweeted the 1st day that I saw you that you wouldn't be in this market long.Three months later,you are moving up. Where are you going (Town,channel,network affiliate) and how did the move occur? JP:You can predict the future just like a meteorologist! I have accepted a position as a weekend meteorologist in Springfield, Massachusetts at WWLP News22. TRS:Other than the obvious (career improvement) what were any other reasons for leaving Herald-Mail? JP:To be honest, that is it. I am really focused on my career and whatever is going to make me a better forecaster and public broadcaster. 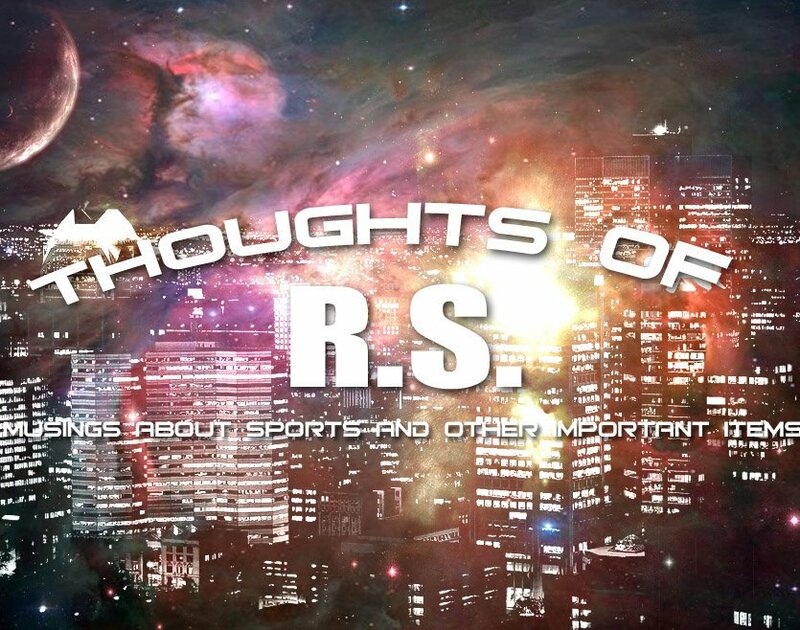 TRS:What are your best memories from your Hagerstown stay and is there anything that you would change? 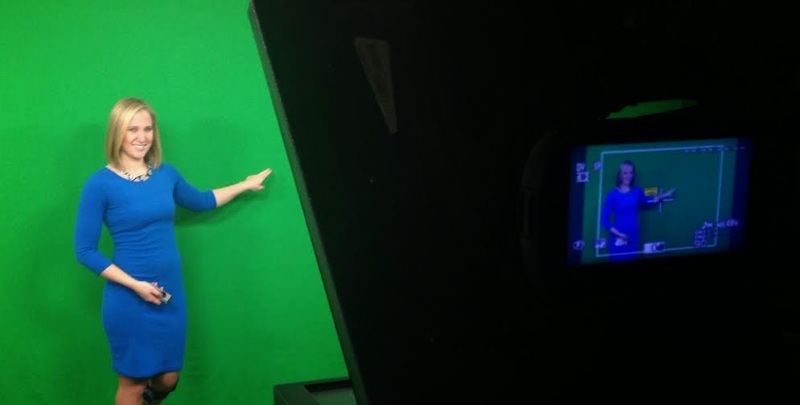 in the community and also had the opportunity to talk about weather on my Saturdays at a local science museum, Discovery Station. I think this was a great experience and best of all I got to stay in the Northeast (the weather I am used to) and close to my family and friends.